How do I Hide Emails? 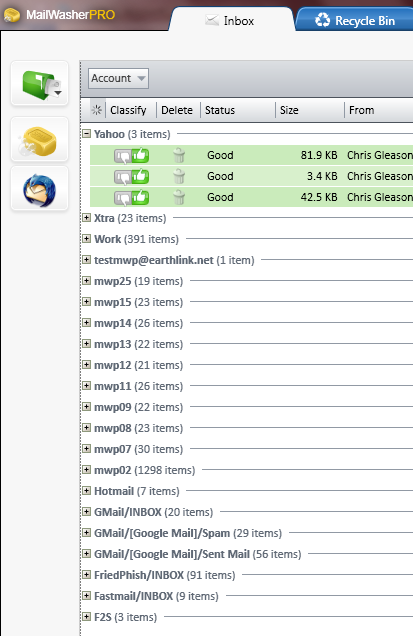 One of the features currently missing in MailWasher 2010 is the ability to hide emails, and as it turns out, this wasn't such a good idea on our part and we have been suitably chastised. 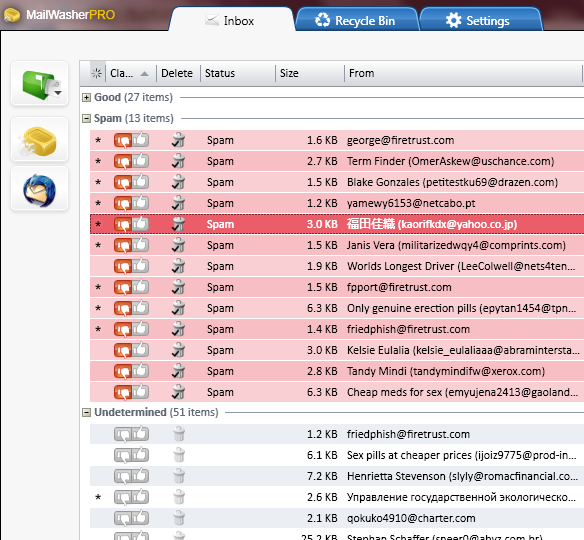 However when people are made aware of another new feature in MailWasher, they tend to find it a more elegant solution to quickly making emails 'appear' and 'disappear'. This new feature is called Grouping. The first thing you want to do is show the grouping bar. 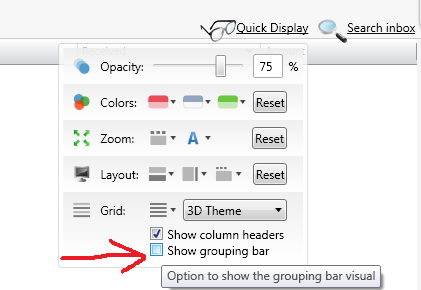 To do this you click "Quick Display" and select the option 'Show Grouping Bar'. 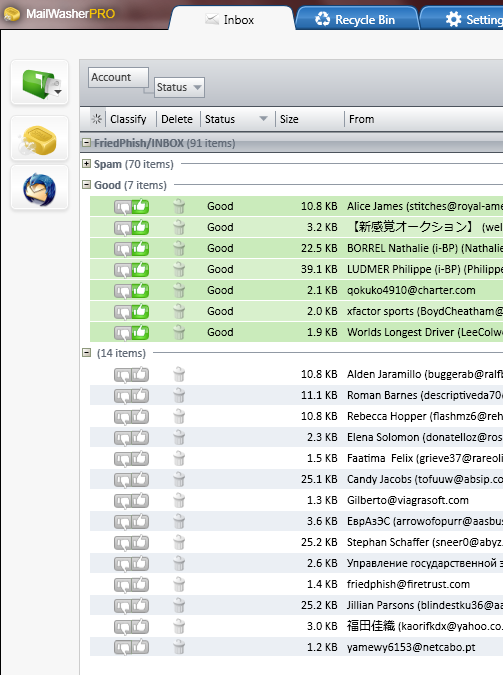 Now, when I have many emails showing in a lot of accounts, I can quickly expand or collapse that group by clicking on the small 'plus' and 'minus' symbols. So now we try and put this to some good use. Keeping the Account column grouping, if I drag and drop the Status column into the Grouping Bar, I now have two groups. First it groups by account, then it groups by Status, so you can see the Spam, Good, and yet unknown emails are presented in their own group. While this is only a brief introduction on Grouping, we hope this helps you get more out of MailWasher.